When installed - looks better than the original stopper. Do away with troublesome trip lever parts and stoppers. 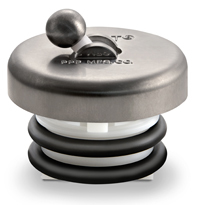 One piece construction replaces all types of stopper assemblies. Chrome Plated Finish, Polish Brass Finish, Antique Brass Finish, PVD Polish Brass, and PVD Brushed Nickel finishes. 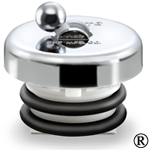 Eliminates annoying pop-up stoppers which seldom hold water. Chrome Plated Finish, Polish Brass Finish, and Polish Antique Brass finishes. Mirrored surface to match all decors, variety of sizes; one-hole, two-hole, and three-hole versions. Stop Burglars! Makes Sliding glass doors jimmy-proof. Can be cut to fit any size door. Available in three lengths, three finishes, and three packages. Closes your patio door smoothly and gently, leaving your hands free. 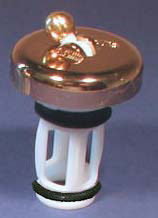 Water stoppers for your Mobile Home or Recreational Vehicle's tub or lavatory sink. Available in: White or Chrome.